As specialists in the field of vitamin nutrient therapy, Vitamin Injections London are delighted to announce our VIL Training Package, which is a live vitamin IV therapy training course based on the principles of in-person training, one-to-one mentorship and experience-based educational methods. Developed by our Clinical Director, Bianca Estelle, our live vitamin IV therapy training course aims to provide you with the maximum amount of practical experience and educational training in exchange for your investment. Our ultimate goal is to ensure that you’re confident enough to hit the ground running with professional vitamin nutrient therapy treatments in your own practice. WHO IS THE VIL TRAINING PACKAGE DESIGNED FOR? The first course of its kind available in London, our VIL Training Package is designed for qualified paramedics, aesthetic practitioners, GMC registered doctors, NMC registered nurses & midwives, pharmacists and foreign equivalents of the above who wish to master the provision of high-quality vitamin nutrient therapy. They may feel other IV courses focus heavily on theory alone, or lack the one-to-one mentorship and practical experience needed in order for attendees to thoroughly understand IV therapy and succeed in this competitive field. Suitable for beginners as well as IV-trained professionals, the VIL Training Package is a hands-on course that takes place within our own day-to-day practice, as opposed to a lecture theatre with a simulated clinical environment. As part of our VIL Training Package, your individual experience levels will be assessed in advance and your live vitamin IV therapy training course will be customised in accordance with your input. As part of the VIL Training Package, we provide specific training for intramuscular (IM) injections and mesotherapy microinjections, as well as a range of other aesthetic procedures (upon request). DOES IT INCLUDE EDUCATIONAL AND PRACTICAL MATERIALS? 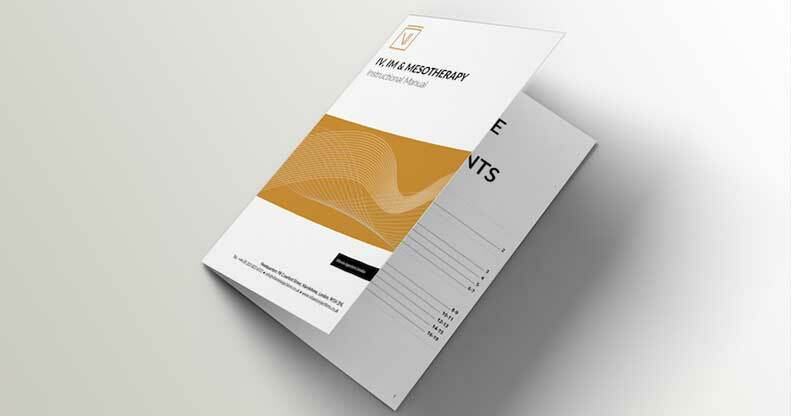 Each participant will receive supplementary educational and reference materials, including our VIL Training Manual, which is a protocol-driven instructional guide for almost all treatments offered by Vitamin Injections London. In addition, you will receive treatment-specific IV therapy consent and medical history forms, a structured inbound marketing plan geared towards IV therapy, a VIL Training Package certificate of completion and – if required – a written reference from our specialist IV trainers. As a VIL trainee, we aim to provide you with on-going advice and guidance, which is why we include three months’ on-going support via email as standard. We are also able to visit you in your own practice (additional cost applies) after you have completed our Package. Our VIL Training Package is a departure from the seminar-led, theory-driven courses that are common throughout the industry. We train individuals as opposed to groups, combining science-based learning with live demonstrations, practical treatment administration under close observation, one-to-one mentorship and real client interaction. Your IV therapy training takes place within our own clinic, meaning that you will begin to put theory into practice very soon after you arrive at our Marylebone clinic for your VIL Training Package. We believe that learning and skill development are strongly related in this field, and that a true mastery of IV therapy can only be accomplished by encouraging participants to engage both intellectually and practically. It’s well known that information is better understood and memorised within a relevant clinical context, which makes our live vitamin IV therapy programme an efficient and economical way to learn IV cannulation techniques. Our VIL Training Package participants spend a far greater amount of time observing and performing IV injections than attendees of other courses, who typically spend less than half an afternoon in a simulated treatment room capacity. A brief introduction to in-clinic and online marketing methods. As each VIL Training Package will vary according to participants’ needs and requirements, we don’t have set costs for these services as they are priced on an case-by-case basis. Currently, however, we are working on three core pricing options according to the following levels of expertise: Beginner, Intermediate and Advanced (further details will be provided in the very near future). You won’t be required to bring along a model along as is normally the case for training courses. This is because you will be interacting with current Vitamin Injections London clients who will have agreed to participate in your clinical training programme. We are able to train individuals or small groups off-site. Pricing for this service will vary according to your location and particular training requirements, and you will be required to arrange for clients and/or participants to partake in your training. All live vitamin IV therapy training fees must be paid in advance via our online invoice form. Cancellations within a week of the Package will forfeit a penalty fee. The standard length of our VIL Training Package is one full working day (10am-8pm), or can be spread across two half-days. If you’re interested in finding out more about our VIL Training Package, please get in touch with our friendly team by scrolling down and filling out the Training form below.